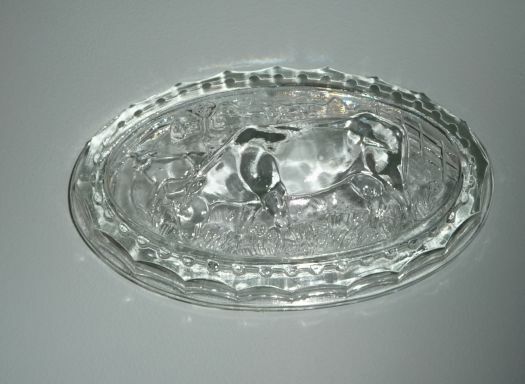 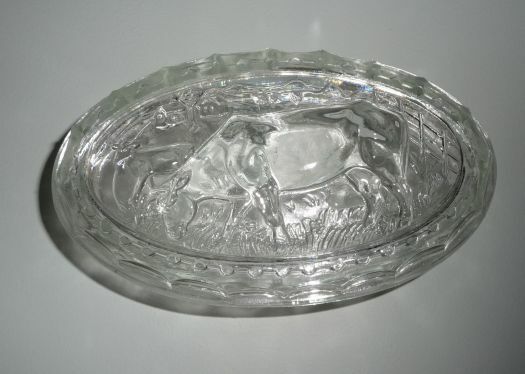 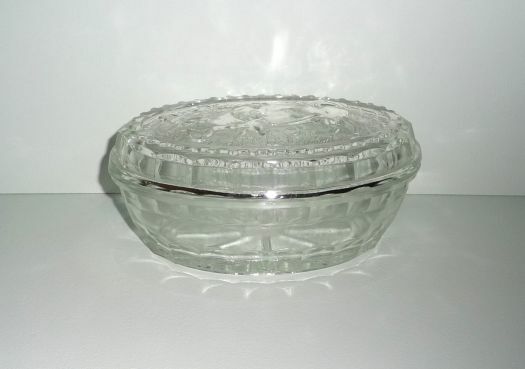 Very nice butter-dish in glass, with cow pattern. 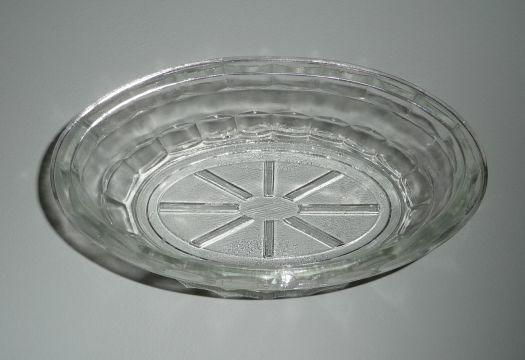 There is a chip on the edge but you may use it without problem, the chip is absolutely not dangerous for fingers ! 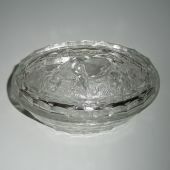 17,5 cm x 10 cm ; height 8 cm.